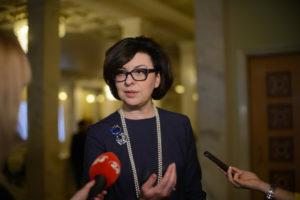 Presidential candidate Andriy Sadovyi presented his candidate for the post of Prosecutor General – Vice Speaker of the Parliament Oksana Syroyid. Taras Pastukh, Samopomich deputy, should become the Defence Minister in his team. Sadovyi announced this during a presidential debate on the NV Radio. “Back two years ago I suggested appointing Oksana Syroyid as the Prosecutor General — she is a specialist with international experience, an honest and principled person. 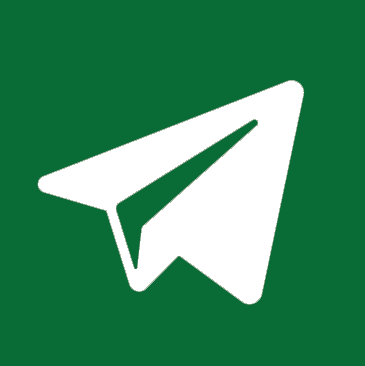 Then it would not have been necessary to change the law for a specific person,” said Andriy Sadovyi. He is convinced that the Minister of Defence should be a person who does not only have a clue about defence, but has actually participated in real hostilities. 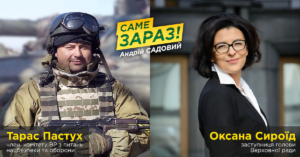 “We have a deputy of the Verkhovna Rada, Taras Pastukh, who has been through the war. In 2014-2015, he served in the 128th mountain-infantry brigade of the Armed Forces, which held defence in Debaltseve. Today, he heads the subcommittee of the Verkhovna Rada Committee on Security and Defence. He is actively engaged in the protection of military personnel. “I reckon he is a worthy candidate,” noted Sadovyi. Ukrainian lawyer and politician. People’s Deputy of Ukraine of the VIII convocation, Vice Speaker of the Verkhovna Rada of Ukraine. Previously – Director of the All-Ukrainian Charitable Foundation “Ukrainian Legal Foundation.” She studied in the Kyiv-Mohyla Academy, Taras Shevchenko National University in Kyiv, and the University of Ottawa. She was National Project Manager for the OSCE Project Co-ordinator in Ukraine. 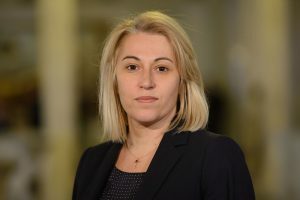 She taught at the Master’s program “Public Governance and Administration” and at the Faculty of Law of the National University “Kyiv-Mohyla Academy”, now teaches at the Kyiv School of Economics – “Public Policy and Management” program. Soldier of the reconnaissance company of the 128th mountain-infantry brigade of the Armed Forces of Ukraine (2014). Has been to the flash spots in Debaltseve, Nikishyne, Kamyanka, Chernukhino. In October 2014, he was elected as people’s deputy of Ukraine in the 163rd electoral district (Ternopil). Throughout the entire election campaign and the beginning of the cadence, he continued to serve in the East. 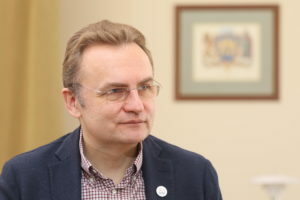 He is a member of the Committee on National Security and Defence of the Verkhovna Rada, chairman of the subcommittee on the effective use of budgetary funds. He defends the openness of the country’s defence budget, namely, the specification of the distribution of funds and the publication of expenses. He supported war veterans who defended a ban on trade with the territories occupied by Russia. Up till now, he is helping with the cases on volunteers who are accused by the prosecutor’s office of using weapons during hostilities in the East.